Playards are hard to use. The breeze is easy. The 4moms breeze opens or closes in one step. Just push down on the central hub to open and pull up to close - the latches are automatic and there's no tricky sequence of steps. 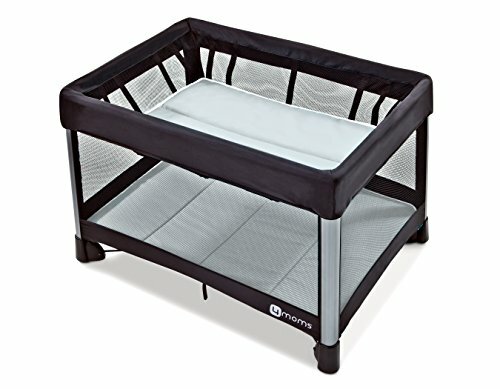 Also included with this full-size playard are a removable bassinet, and a convenient travel bag. Playard and bassinet sheets sold separately. Max child weight (bassinet): 18 lb.